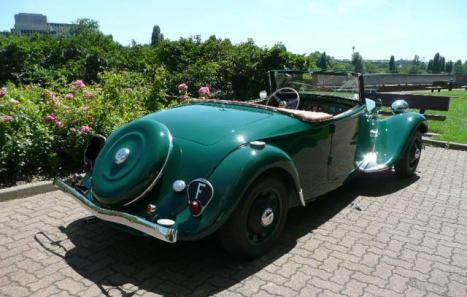 Bought in June 1938, this Traction Cabriolet 11 B Large with the optional spider has been in the original owner's family until the late seventies. After the war (1953), the engine was sent back to the Citroen factory to be rebuilt (there is a plate on the engine "MOTEUR RENOVE par CITROEN") In 1976 the original owner's grandson had it professionally restored, the bodywork and paint was done to a superb standard, but the interior was re-done in white vinyl (!) and it was letting the car down. 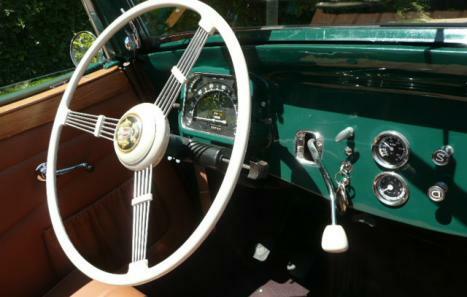 The current owner bought the car in 2007 and finished the restoration properly. 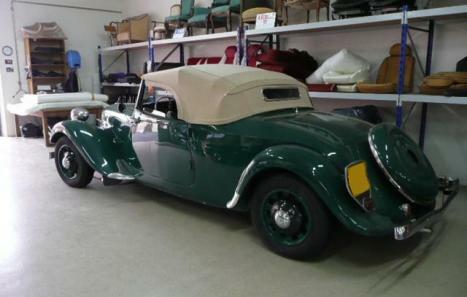 The car now has a superb tan leather interior, with matching cover to the soft top. The soft top itself is tan alpaga with an inside black lining, and a correct aluminium framed glass rear window. Absolutely everything was re-done to the highest possible standard: electric wiring, petrol tank, brakes, chrome, custom made stainless steel exhaust system, wiper motor and mechanism etc etc. 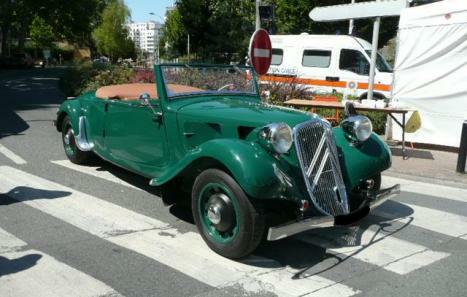 The car has its French "Carte Grise Normale" with the "Cabriolet" mention and an authenticity certificate delivered by Citroen as well as a current Controle Technique.. It is located in Paris. Part exchange considered for an interesting vehicle, what have you?